Daniel Ash (born 31 July 1957, in Northampton, England) is an innovative, textural guitarist for Bauhaus, Tones On Tail, Love And Rockets & solo projects. As a founding member of the ground breaking Bauhaus, multi-instrumentalist Daniel Ash has distinguished himself in the world of contemporary music. He later went on to form Tones on Tail and Love and Rockets with members of Bauhaus. After attending gigs in his teenage years, he made a promise to himself that no matter in what capacity; he would get up on that stage, even if he was only banging a tambourine. As a founding member of the ground breaking Bauhaus, multi-instrumentalist Daniel Ash has distinguished himself in the world of contemporary music. He later went on to form Tones on Tail and Love and Rockets with members of Bauhaus. After attending gigs in his teenage years, he made a promise to himself that no matter in what capacity; he would get up on that stage, even if he was only banging a tambourine. He started playing guitar at age 15, but later he confessed that he didn't give it much effort, only learning three chords during his first three years. Driven by a love of Rock 'n Roll, Ash began playing in cover bands. The first gig he played was in the Glasgow Rangers Workman's Club. During this time, Ash started playing music with his Kindergarten mates David J and Kevin Haskins. With the addition of Peter Murphy, this lineup became Bauhaus. Ash became friends with Peter Murphy during his teenage years. Ash went to art school and Murphy to work in a printing factory. They met up five years later and Daniel suggested forming a band. After rigging up a makeshift rehearsal space, Ash played an echo-laden 12-bar blues while Murphy sang a series of newspaper articles. Four weeks later they formed Bauhaus and recorded "Bela Lugosi's Dead". That song, released in 1979, became the cornerstone of the gothic rock movement. From early on, Ash was intent on sounding original and often tried to ?make the guitar not sound like a guitar.? His style is simplistic and visceral, frequently using an EBow or a guitar with a sustainer circuit. Four years and as many albums later, Bauhaus broke up. Soon after, Ash put together Tones on Tail with Bauhaus drummer Kevin Haskins. 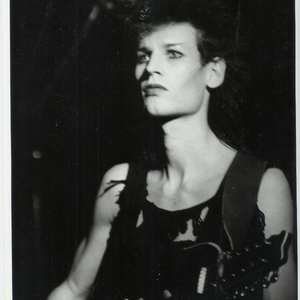 In 1984, Tones on Tail was disbanded, and Ash founded the influential Love and Rockets in 1985 with Kevin Haskins and David J, also of Bauhaus. Despite creating a unique guitar style seminal to several genres, he's often said that he's really not that interested in guitars. During the last ten years, he has been experimenting with electronic music, limiting the use of guitar as an extra element as opposed to the main focus. Since the last reformation of Bauhaus however, he's been returning to a more guitar based rock sound.